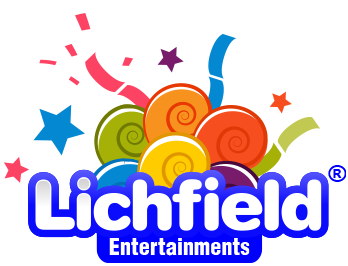 Based right in the centre of the UK, we're ideally placed to cover the Midlands and much of England for inflatable games and entertainment hire. We are extremely proud of the reputation we have established for providing high quality equipment at competitive hire prices, with a reliable, friendly service. All the inflatable games and rides on this website are ours - unlike some we don't advertise equipment that we don't own and then need to sub-contract in from someone else increasing the cost. Whether you are holding a corporate event, a private party, planning a fun day for 100's of people, or holding a promotion for your business you can be sure that we will do everything we can to make sure that your event is a complete success. As well as providing inflatable games and entertainments for many private parties, functions, and school events, we have also provided entertainment for companies such as Bentley Motors, BT, TNT, DeVere Hotels, HSBC, Lloyds TSB, Mercedes Benz, Jordan F1, Williams F1, Rolls Royce, Vauxhall, Volkswagon, Manchester City FC, Nottingham Forest FC, Derby County FC, and Vodaphone to name a few. Unlike some of our competitors, corporate bookings are charged at the same competitive rates as private bookings. Please take a few minutes to look through our inflatable games hire website to see what we can offer. Being based in the heart of the Midlands we're perfectly placed to cover a huge area of the UK within an hour or twos drive. We cover all of the following areas but if your area isn't listed just ask.